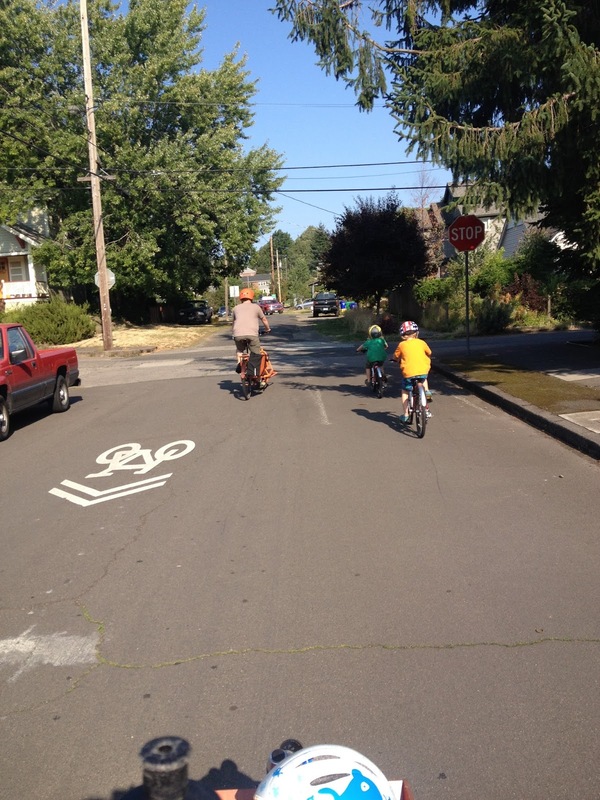 Days With The Grays: The Boys Have New Bikes! The Boys Have New Bikes! 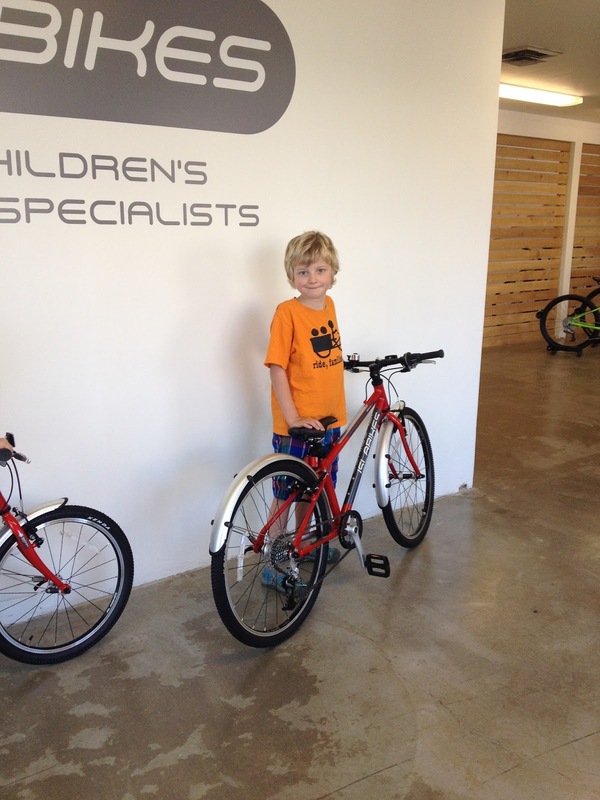 The boys received an early birthday/holiday present from their grandparents this week, new islabikes! Finally, the hills are easier and riding has become even more enjoyable for them because now their bikes are larger and have gears. They both could not believe how much better it felt to ride longer distances. They rode almost a whole 5 miles back home after we picked up the bikes. I think we have some happy riders! 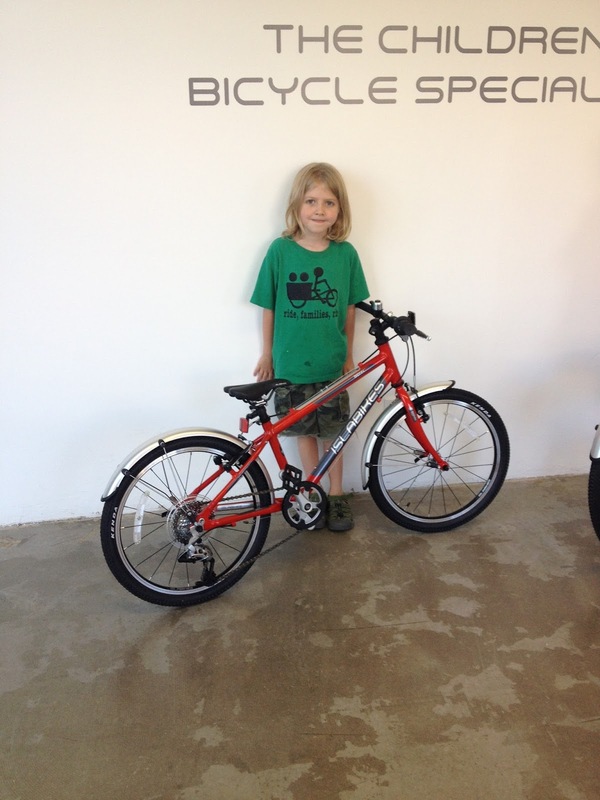 Thanks Islabikes! Info on bike sizes: Nat is 57" riding a 24" Beinn Bike. Ben is 46" riding a size large 20" Beinn Bike. Tricycles are such a great first step. I have many great memories riding my tricycle on my Grandmother's patio when I was little. We have yet to find a good bike fit for our son who is 9 and quite small--I will have to check these bikes out, they look great! They are great bikes! Worth the price. The kids have lots of room to grow with the Islabikes too.